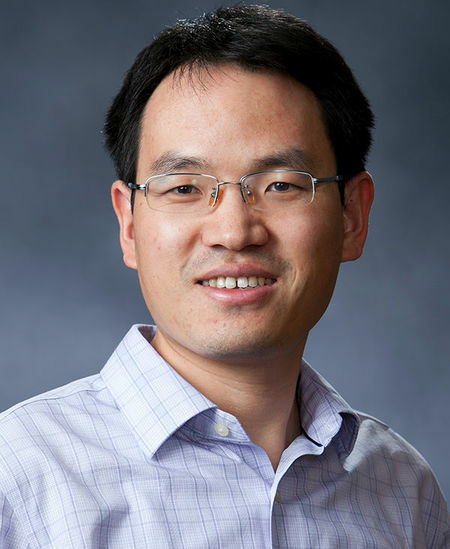 Zhiyong Zhang, an associate professor in the Department of Psychology, has been awarded the 2018 Cattell Early Career Research Award from the Society for Multivariate Experimental Psychology. Named for SMEP founder Raymond Cattell, the award is given annually to a researcher who has made outstanding contributions to the field and shows promise of continued high-quality work. Zhang, whose research focus is multivariate analysis, is the sixth faculty member from Notre Dame to receive the award. “It is particularly meaningful for me that my work was recognized by the best group of researchers in my field,” he said. He is currently working to develop new methods for social network analysis, including a general structural equation modeling framework for analyzing network data. SMEP, a small, selective society that facilitates high-level research and interaction among its affiliates, is limited to 65 active members. Although membership is not required to receive the Cattell Award, Zhang was elected to the Society in 2016, along with Notre Dame associate professors Lijuan Wang and Guangjian Zhang. Notre Dame’s Department of Psychology now has seven members in the society — the highest number of any department in the country. Ying Cheng, Gitta Lubke, Scott Maxwell, and Ke-Hai Yuan are also members. Lubke, Maxwell, Yuan, and Guangjian Zhang are also past recipients of the Cattell Award. “Notre Dame has one of the best quantitative psychology programs in the world, and I am fortunate to be a part of it,” Zhiyong Zhang said. “That has greatly advanced my research. Originally published by Carrie Gates at al.nd.edu on December 03, 2018.